Semi-dried tomatoes, sunflower oil, garlic, oregano, salt, lemon juice. 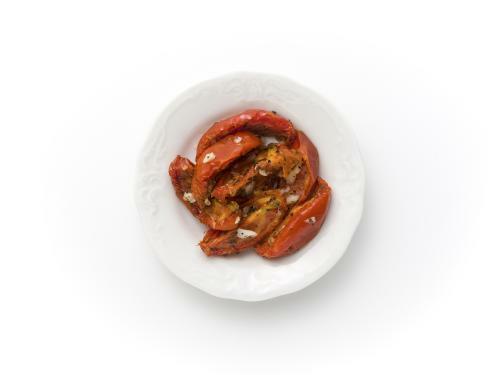 Typical of semi-dried tomato with garlic and oregano. Orange-red in the tomato, whitish – green in the garnish.